Bruce Adams Bridgham died peacefully at home surrounded by his family on March 22, 2018. He lived for 5 years with the diagnosis of primary progressive aphasia. Bruce was born in Lewiston Maine on April 10, 1945 to the late Erland and Marjorie Bridgham and was one of seven children who grew up on a large dairy farm on Center Minot Hill. Bruce took over care of the 40 head of dairy cows at the age of 15, when his father was injured and unable to work. 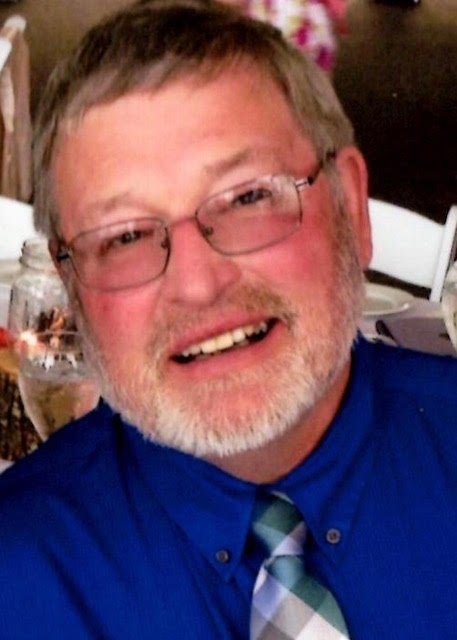 Bruce graduated from Atlantic Union College in 1968 with a degree in social work and was employed many years in Massachusetts and Maine for DHHS. His responsibilities included foster care, adoption and supervision in the Lewiston office. While working, he earned a Masters Degree in Counseling from USM. After retiring from his career in social work, Bruce pursued another venture which involved his lifelong love of growing flowers. He and his daughter Kimberly owned and operated a floral shop called, “A Country Bouquet” in the former Portland Public Market. Bruce was known by all who worked with him as an easygoing, patient and pragmatic advisor. He had a great laugh and once he opened up was an entertaining storyteller. In 1981 he married Cynthia Gibb in the Town of New Gloucester where they lived for 37 years on a farm raising dairy goats, chickens and horses. His sunflower fields were a source of great joy to him and passersby. His love of the outdoors and animals was deep. Throughout a 25 year period he became a well respected and accomplished harness horseman. He especially loved researching genetics in order to breed a faster horse. One such horse was Snap Dancer, a horse that he bred, raised, and trained. She went on to become the Standardbred Trotter Mare of the Year in 2007.http://xwebapp.ustrotting.com/absolutenm/templates/article.aspx?articleid=9092 . He is survived by his loving wife Cynthia, a son Blaine Bridgham of Auburn ME, daughters Kimberly Bridgham and his granddaughter Claire, of Lincoln ME and Rachael Bridgham of Orlando. He has six surviving siblings, Claire Warner of Hendersonville NC, Patricia McCall of Clarkrange TN, Wayne Bridgham of Minot ME, Joan Gray of Leeds ME, Martha Scott of Caanan CT, Lois Merwin of Monroe NH and several nieces and nephews. Memorial contributions may be made to Androscoggin Home Care and Hospice, 25 Strawberry Ave, Lewiston ME. His nurses, Donna, Michelle and Angela and his volunteer Ben, were a constant source of care and comfort to Bruce and Cindy throughout his last year of life. Additional thanks goes to our friends Dianna and Lisa and to the New Gloucester rescue workers who came to our aid whenever needed. There will be a Celebration of Life on April 6 from 1-4 PM at Bruce and Cindy’s home, 26 Winston Way, New Gloucester ME. Friends and family are welcome to attend.